Lynn Boggess Paintings can be found at the following galleries located throughout the United States. Since opening in 1994, Principle Gallery has been dedicated to representing the highest quality of Contemporary Realism art. Focusing on oil paintings and bronze sculpture, we proudly represents emerging, mid-career, and established artists with a distinct personal approach to their work. Principle Gallery gains great exposure for its artists through solo exhibitions, selective group shows, social media, and national art fairs. The Haen Gallery in Asheville opened in July 2006 with a show featuring Lynn Boggess, the unique and quintessential Appalachian painter. 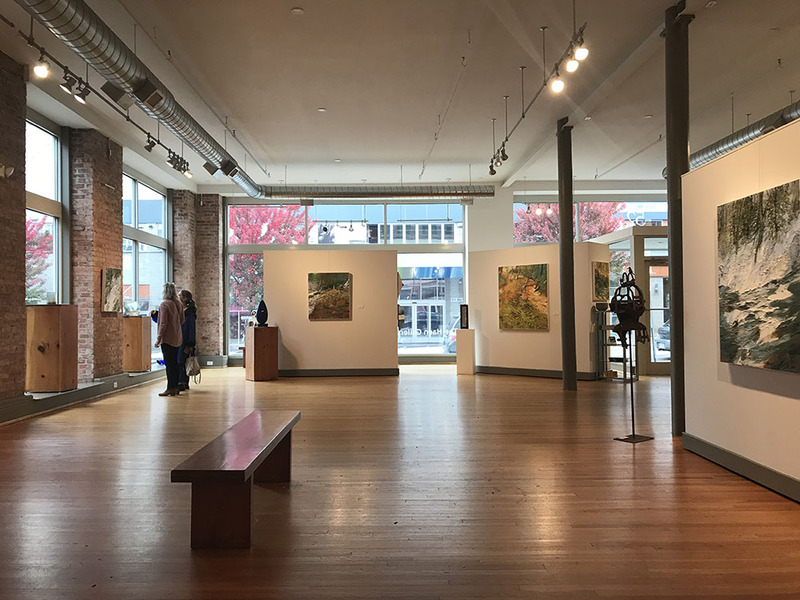 The gallery is owned and directed by Chris Foley, who moved to the Asheville area in 2004 to be near his daughter and granddaughter. Chris was trained as a painter and sculptor and graduated with a BFA degree from Georgetown University. His involvement with graphic and fine art has been lifelong. In 1997 he co-founded Old Town Editions in Alexandria, Virginia with Mark McCormick-Goodhart, a photographic scientist at the Smithsonian Institution. Lynn Boggess was one of Marilyn Cooper’s fortunate discoveries. First represented by the Cooper Gallery, his art career began at West Virginia’s Fairmont State University. More unorthodox in style and technique, he uses only cement trowels and limits himself to 7 colors on the palette. Mixing directly on canvas, his work represents a close study of the rugged West Virginia mountains – its energy, movement, color and special beauty. Today, Boggess’s paintings continue to be a large part of Cooper Gallery’s collection. EVOKE Contemporary is committed to exhibiting artwork that is provocative and compelling by a wide range of established to emerging American and international contemporary artists. The established artists of EVOKE Contemporary have a strong history of institutional shows and artwork in permanent museum collections. The gallery features some of the most recognized artists working today in the genres of figurative painting and sculpture including Alice Leora Briggs, Nicholas Herrera, Jeremy Mann, Javier Marín, Patrick McGrath Muñiz, Soey Milk, Kristine Poole, Lee Price, Harriet Yale Russell, Jorge Santos, Julie Speed, Daniel Sprick, Aron Wiesenfeld, Kent Williams and Michael Workman. The gallery also represents some of the foremost American landscape painters such as Lynn Boggess, Francis Di Fronzo. In addition, EVOKE Contemporary proudly represents the Estates of Louisa McElwain and Wade Reynolds. The gallery’s goal is to introduce relevant emerging artists and prominent established artists to provide collectors with the excitement of early acquisitions by up and coming artists, as well as that of mature talent in contemporary art. 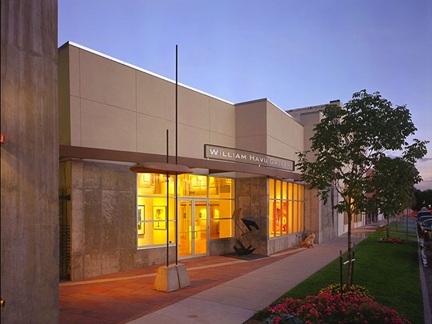 Established in Aspen in 1973, the William Havu Gallery, in its current location since 1998 is engaged in an ongoing dialogue through its 7 exhibitions a year with regionalism as it affects and is affected by both national and international trends in realism and abstraction. With a strong emphasis on mid-career, established artists, the gallery also shows emerging regional artists of exceptional maturity & quality in an AIA award winning, post-modern building.The gallery has been in the framing business since its inception in 1973 & continues to offer framing services to our clients. With 40+ years in the business of mounting exhibits worthy of critical review, the William Havu Gallery continues to acquire artists of regional importance & national acclaim.